Stephanie Faris: Writing and Promoting: Does Age Change Our Approach? I think the writing is just as exhausting. Maybe after so many years and a certain age, writers revert back to why they began. For fun. Somewhere in between, it became more like a job. Perhaps some writers just say to heck with it, I started writing because it was fun for me, and I'm going back to that. Maybe it's because I spend all day writing about software and business...fiction is always my "fun" writing! But yes, it was definitely different in the beginning, when we were just writing what we wanted and we knew nothing about what "sells" and what doesn't. That's a good point! The authors I knew who gave it all up and retired were retiring from something they'd done for a while. If you had a different job for, say, 30 years and got published at 60, you'd likely jump into the whole marketing thing with a lot of enthusiasm! Definitely an interesting question. I already find promotion very intimidating, and I'm really just starting out! I don't know when I'll want to feel like packing it in, though. There's a lot of things I'm yet to try. It can be intimidating, but I think it's all about finding the things you enjoy doing and focusing on those--because there are SO many different ways to promote. I think most authors who've been writing for a while pare down their marketing due to experience. After a while you know what your best venues are and concentrate on that. That's SO true! And you don't know how comforting it is to hear. I spent most of my early days listening to what other authors told me I "had" to do. When I said one of those things wasn't selling books, other authors were all like, "Well, yeah!!! That doesn't sell books. Why did you think it would?" I've learned that what sells books is just writing good books! Sure, getting the word out helps, but there's only so much we can do and not much "moves the needle," so to speak. I find promotion exhausting - simply because I do marketing for my day job, and I don't want to do to in my free time as well! 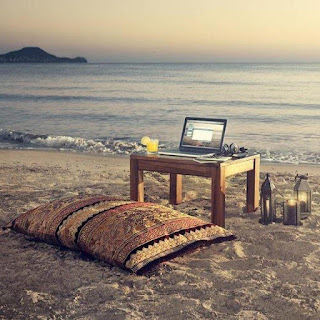 I don't mind doing it occasionally, but I can't imagine doing for the fifty or so years - I'd much prefer to be writing instead! 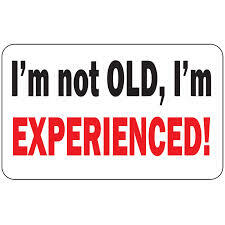 I don't think it's age so much as experience. I think it's easy to get to a point where you have established a core audience, and rather than reaching to grow it, it's very tempting to be comfortable with your base readership. That would be nice. The problem with children's books is that your audience grows up! Ditto Crystal's comments about already having a core audience. I also think that because we're creatives, we may not always enjoy the marketing aspect because a lot of us are introverts. Definitely--and all of us have heard that "buy my book" isn't effective...so it's hard to know what IS! I retired from my day job a couple of years ago and was able to devote more time to writing--something I've always loved to do. After limited efforts at getting people to buy my work, I've come to realize that promoting and marketing takes all the fun and energy out of the creative process. (That word "work" says it all--doesn't it?) Writing what I want to write when I want to write is more important to me at this time in my life than starting another career. I'd like for people to read my stories and I'd love for people to like them, but ultimately and selfishly my writing is for me. It is relaxing and cathartic so why should I add unwanted stress into my life at my age? 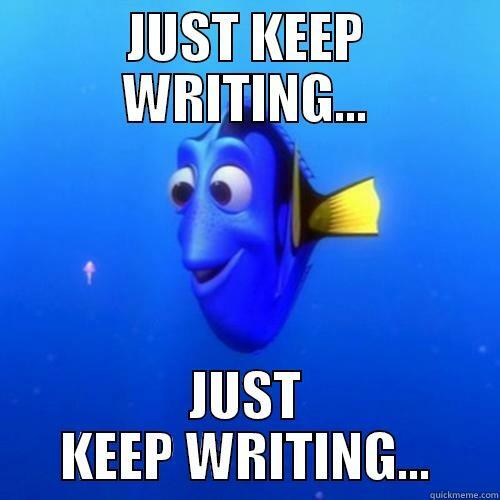 It does take fun out of it, especially if you really love the writing process. 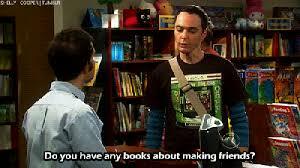 I have met authors who seem to love the "look at me, I wrote a book" part of being authors...some even spend more time promoting than writing. But I feel that truly successful authors actually put the writing first. Wow, hi Stephanie. Didn't realize my blog post would create a conversation over here. I'm actually facing the same issue I wrote about back then - when the anthology on aging comes out how much time and energy and money will I be able to devote to promoting it. It is a project straight from my heart. I felt compelled to do it. My writing must come from my heart. Marketing and promotion come from the head. Two separate animals altogether. I was a marketing and PR professional for 33+ years so I know a bit about it. But the world of social media, ie. Twitter, etc. is something I don't want to spend time doing. And that seems to be the primary way people promote. The best thing that came out of my entry into marketing when my memoir came out in 2009 was learning about blogging. It never changes, does it?! You are SO right--writing comes from our soul and promoting comes from the head. I actually find social media easier than book events. Full disclosure: if I have to leave the house to promote my book, I dread it for weeks. I'm terrified. Of what? Nobody showing up, people thinking my speech is horrible, etc. All things that never really happen... But I'm much more comfortable promoting my book at home in my PJs! RIGHT! And the Stephen Kings of the world don't really need it because the publishing house pushes their work. At that stage, you're basically just showing up where they tell you to show up. Watching him on Twitter, it seems he just does the minimal amount of public appearances necessary. I don't blame him, though. If I had a home on the beach in Florida, I probably wouldn't want to leave it either! 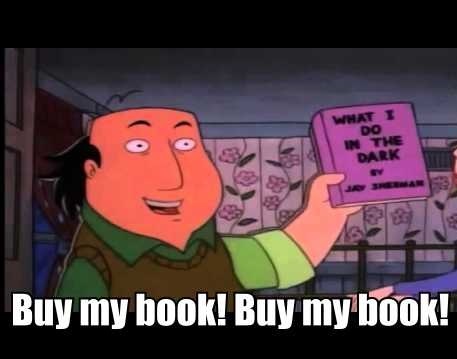 Oh how I love the Critic! Hehehe. I've started marketing more as I've gotten older. 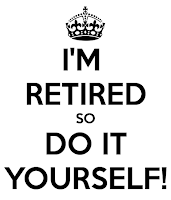 Though I would love to be able to "retire" and just write. That is true...mostly it's about finding what you love to do when it comes to marketing and focusing on that. Man it is hard! Especially since people don't frequent bookstores like they used to. Now everything is digital....I miss the old days of the library. Yes, bookstore events are tough. When people DO go to bookstores now, they just run in, grab what they want, and run back out. I remember in my younger days browsing the shelves for hours! May I share your retired writer dream? I'll bring my own pillow and table...maybe some bottles of wine? Yes, come on down!!! I keep telling one of my Facebook friends I'm coming to join her in Florida when I get old enough. It's not on the beach, but those old ladies know how to PARTY! Hi Stephanie! I have never published a book. But I know if I ever do, the work involved in marketing does seem overwhelming. A friend of mine published her first book, and she said the work is relentless on social media. And it didn't really seem to be driving sales. I don't know what the answer is but . I can understand why your writer friends want to step back from all the outside work. I feel like everyone says this so much, it's cliche, but the key to succeeding on social media is to have fun with it. Posting, "Buy my book" does nothing, but interacting and supporting other authors helps build a network. It's combined with other things--attending writers events, having a great website, maybe doing a bookstore signing or two... In the end, though, no, it doesn't really sell thousands of books, no matter what you do. It's a balancing act. Maybe that point of balance shifts with age, and as others have said, with experience? I think what matters to us shifts. I can imagine someone at 70 not really scrambling to "build a career," since you aren't building anything at that point. True--but marketers charge authors WAY too much, considering we don't make all that much money! Most of us choose to do it ourselves. There is a HUGE demand for an agency that books school visits for children's authors and just takes a cut. Every American agency that does that is "no longer accepting new authors." Perfectly spoken! Yes, I think we also learn as we get older that we can't make people do anything. All we can do is live our best life and be happy. When I started writing years ago, I knew nothing about marketing. I had no blog or Face Book or Twitter. I was happy with a few reviews. Boy, times have changed. All I want to do is write. (I'm retired from teaching.) Sadly, it doesn't turn out that way. If no one knows about my books, they won't read them. I'm lousy at promoting, but I try. I think you do a great job of it! The best way to call attention to you is to support other writers. So few writers get that. It's not even about whether those authors support you back (although that helps!). It's more about the fact that every time you promote someone else, that author amplifies your message to their audience and those people see your name and maybe even learn about your books. Well, I haven't even managed to sell one book yet, but querying is exhausting too at my age. Already I have days where all I want to do is write poetry (which I HAVE sold). No promotion involved there, so I find it good for the soul. I wrote poetry when I was a teenager and it was always so cathartic to get my emotions out on the page. I don't think it is age as much as attitude and drive. I'm Old! And I keep asking myself if I should quit this merry-go-round of marketing, which I dislike. I didn't start my writing career until I was in my late forties. Age does take a toll, not so much on writing, but all the other stuff, like promotion that gets old very fast. A few months back I even did a post on the oldest published authors, and that made me feel somewhat better. It's hard to say. I mean if you are retired and have enough money to live on, why not give up? Spending time with family and doing the things you enjoy is really important, especially as you get older and realize you may not have all of the time you would like for spending time with those you love and doing that which you enjoy. 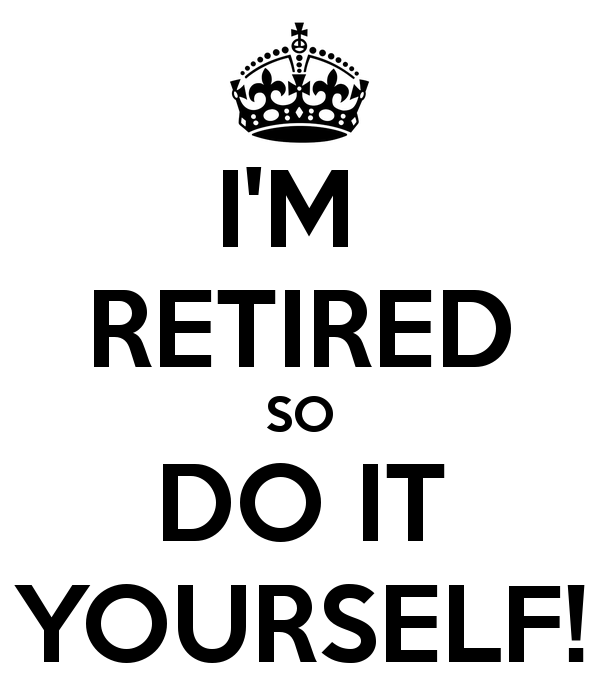 However, I'm not old enough to be retired and I already find myself lazy in some respects. It can be frustrating putting energy into something and feeling like you are getting nothing out of it. So, in that case, it's related to perceived success rather than age. I'm sure people give up for a variety of reasons. 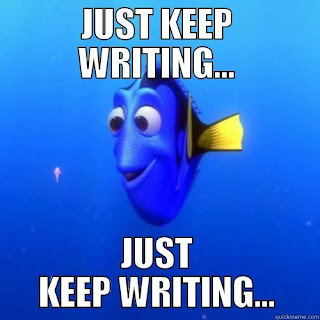 I've been slow at writing since this year began, what with starting the year off sick. But I'm slowly getting back. I'd say yes and no, depending on the person. I totally get why people don't want to mess with marketing as they get older. Some days I'm one of them (even though technically I'm not over the hill just yet, lol). It can be a lot of work, and as you said, just plain awkward. And who feels like "selling" all the time? And then some days, I can see it not being a super big deal at all. I guess it's a matter of personal preference, and finding just the right balance. I think that's a hard question. It's like me and painting. For me, I guess where ever my life is at the time. If that makes sense?